Have you ever felt like there is something out there that if you bought, could significantly enhance your gaming experience? Maybe you meant to buy it a long time ago, but either couldn't afford to or were simply waiting for the next new thing. If that's the case, this weekend might be the perfect time to pick up new pieces of gear. The traditional American holiday of crazy discounts is fast approaching, Black Friday! Keyboards nowadays have a softer, quieter feel. However, the conversion from a photon to a bioelectric stimuli takes a lot longer than the conversion from a pressure wave to bioelectric stimuli. Basically, the time it takes for your brain to process a sound is much faster than the time it takes for it your eyes to process something visually. A mechanical keyboard is generally louder, and also provides a stronger tactile experience. This increases your reaction time and key accuracy tremendously, and is something I wouldn't have believed if I hadn't tried it out myself. Once you make the switch, it's hard to go back. Logitech G710 Blue Mechanical Gaming Keyboard - Retail $129.99, now selling for $49.99 looks like that price is sold out, and the next lowest is now $93.37, hopefully some of you got it for the lower price. I'm personally getting this one for a friend. Logitech makes great products and this one's Amazon's #1 best seller in the PC Gaming Keyboard department for a reason. Razer BlackWidow Ultimate Elite Mechanical Gaming Keyboard - $129.99, unfortunately no discount at the moment. This one's my personal favorite and the one I'm using right now. The tournament version is a lot cheaper but doesn't include the number pad, which I like to use for certain hotkeying. Wireless mice are a personal pet peeve of mine. I see a lot of gamers using wireless mice, and I understand that it's cleaner in terms of wire clutter and the battery life on most are pretty good. However, there's going to be a moment in your promotional game where your mouse battery dies, and you are definitely going to be wishing you went for a traditional wired mouse. Redragon M601 CENTROPHORUS-2000 DPI Gaming Mouse - $31.99 retail, currently selling for $12.99. This is a sick deal for a gaming mouse and a decent quality one too. I'm buying a few of these to leave around places like my parent's house in case I leave my main mouse at home. Razer DeathAdder Ergonomic PC Gaming Mouse - $69.99 retail, currently selling for $39.99. This one's my personal favorite, and nice to see it on sale for a change. It's a very simple compact mouse that fits comfortably and doesn't have any crazy gimmicks to it. The matte black is also a great touch as well. This one's really weird and a lot of you might feel like I'm selling out and promoting random junk, but I promise this is actually a really cool buy. When I first heard about Amazon Echo it just sounded like yet another unimpressive voice controlled AI. The thing stands about 9 inches high and is currently selling for $149, down from $179, available now on Amazon at this link. If you have a space that's big enough, it's hard to justify not having extra monitors nowadays. The amount of productivity you can improve on by having an extra one is enormous, especially if you're only running one screen at the moment. 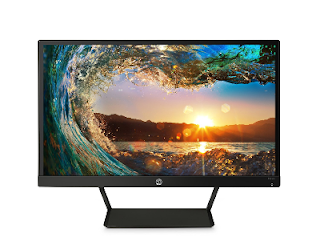 Nowadays you can pick up most 21.5 inch monitors for about $99. The below is a nice LED monitor that includes HDMI ports but no DVI ports, running at 17% off at the moment. This is a really cool mouse pad. Usually with the cloth pads, I end up getting stains on it or it just simply wears out after a period of use. These problems are unsurprisingly not around with an aluminum mouse pad. 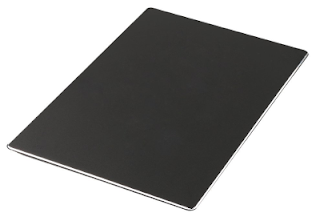 Generally most of these go for around $49.99, but there's one selling on Amazon for an insane $10.99 under the name Inoble Gaming Aluminum Mouse Pad. For those of you wondering if this is a smart idea or if it's just some weird company, Razer also makes their own aluminum pad under the name "Manticor", discounted at $39.99 . Are you that one guy or gal with the insane game echo coming through on Skype or Teamspeak? Please for the love of all that's good in the world get a headset. 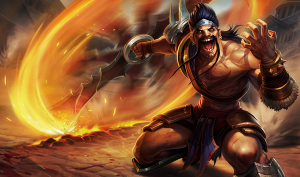 You'll enjoy the experience much more and so will your teammates. Make sure you get one with a built-in microphone for maximum utility. I'm not going to be your nutrition expert, but you could always order some Kind Bars, which are both healthy and nutritious. They're also an excellent alternative to the normal ramen and hot pocket diet. Let me know if you find somewhere I can get like 50 for half price. If you spend too much time at the desk, you may want to make sure you're moving around enough throughout the day. If that's the case, then feel free to pick up a pedometer of some sort. 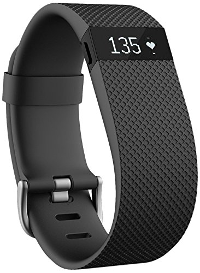 My personal favorite is the Fitbit Charge HR, which normally retails for $149, now going for $119. This one has the added bonus of a continuous pulse monitor, which lets you know if you're in danger of going Hulk soon. If you're someone who tends to play games mostly on their laptop or know someone who does, you'll know that they tend to heat up very quickly during gaming sessions. For people who choose to continue doing so, a laptop cooling pad is a great investment since it'll protect both your laptop and possibly your legs from getting burned if you take the "lap" part thing seriously. The best selling fan on Amazon by HAVIT is currently going for $24, down from $66, not a bad purchase. 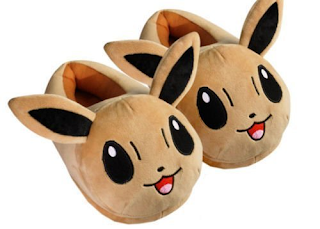 Please, never EVER underestimate the awesomeness of fuzzy slippers. With the winter season fast approaching, the worst possible thing to happen is for you to suddenly lose feeling in your toes and/or cramp up. This purchase not only protects your toes from getting too cold, but can also protect your MMR from falling due to medical complications. Just pick the warmest, snazziest slippers in your budget range and you're golden. Mmm...warm. 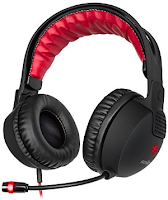 Got more ideas for Black Friday or Christmas gift shopping that would be perfect for gamers? Comment below!